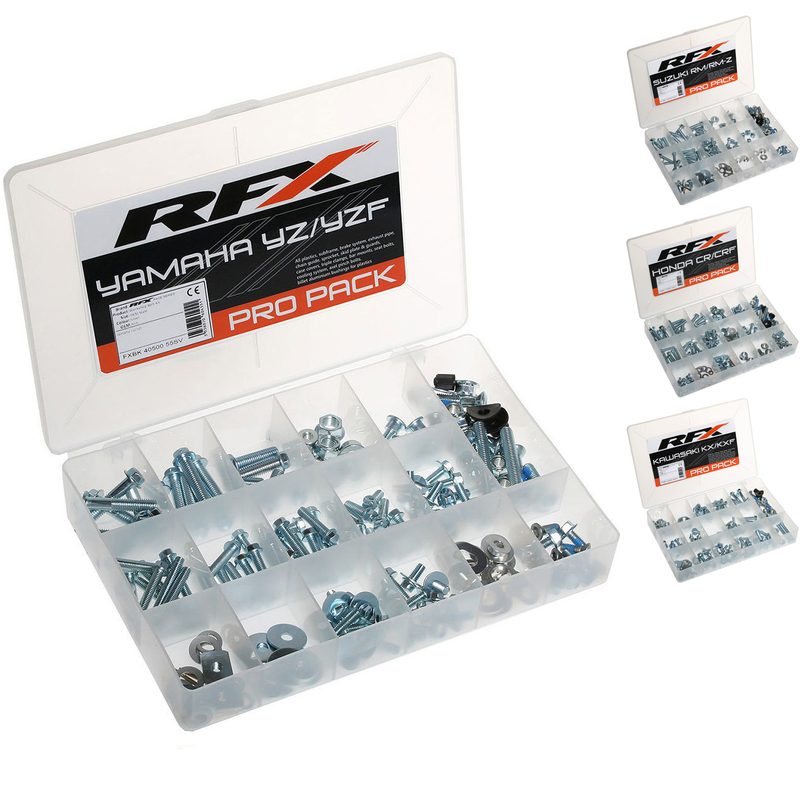 The RFX Race Series Pro Bolt Pack (OEM Style) is part of the latest RFX collection. 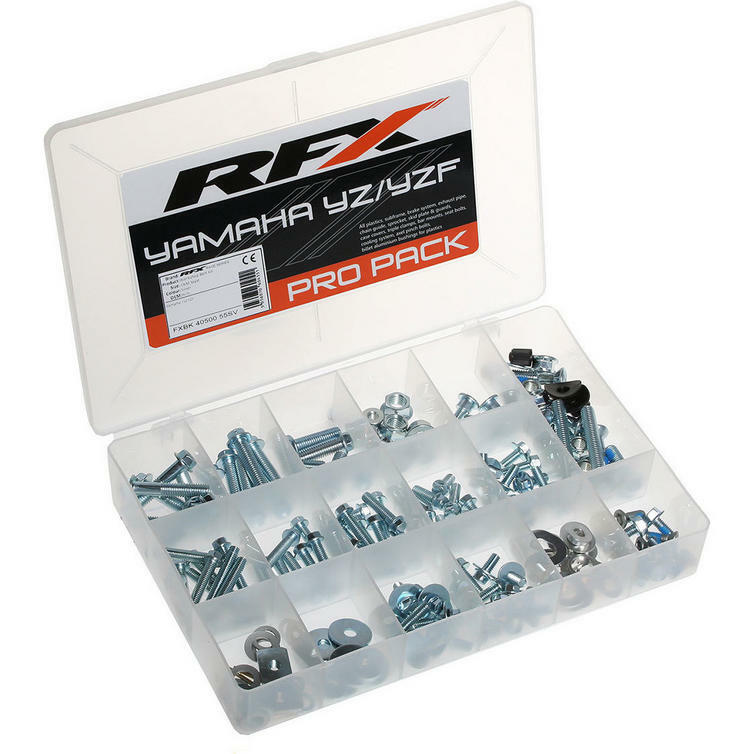 The RFX Race Series Pro Bolt Packs are the OEM leader in replacement bolt packs to help keep you going when you are at the track or to help you rebuild your bike. Assembled using components that meet or exceed OEM specification. 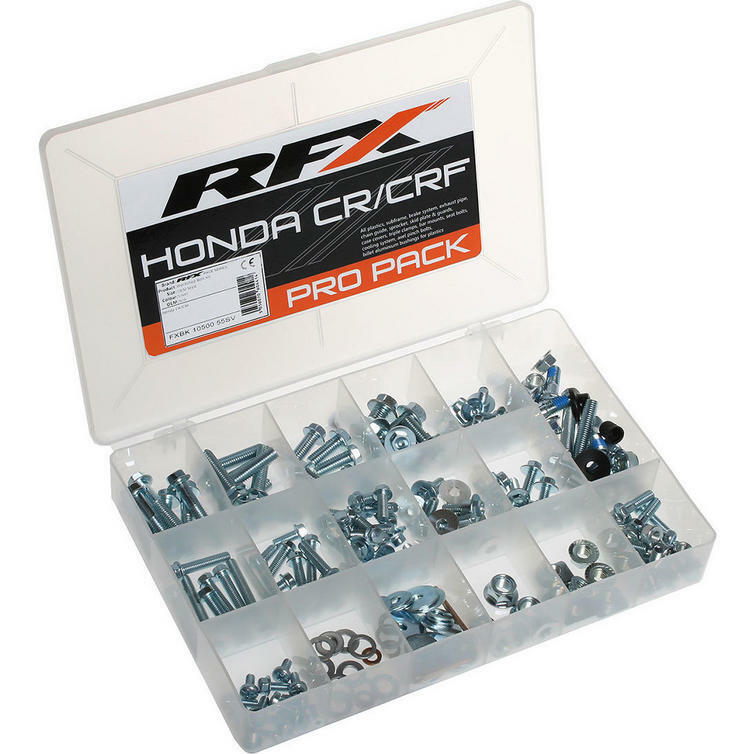 The RFX Race Series Pro Bolt Packs are ideal to keep in your toolbox or garage for when you need that bolt or nut you are missing. 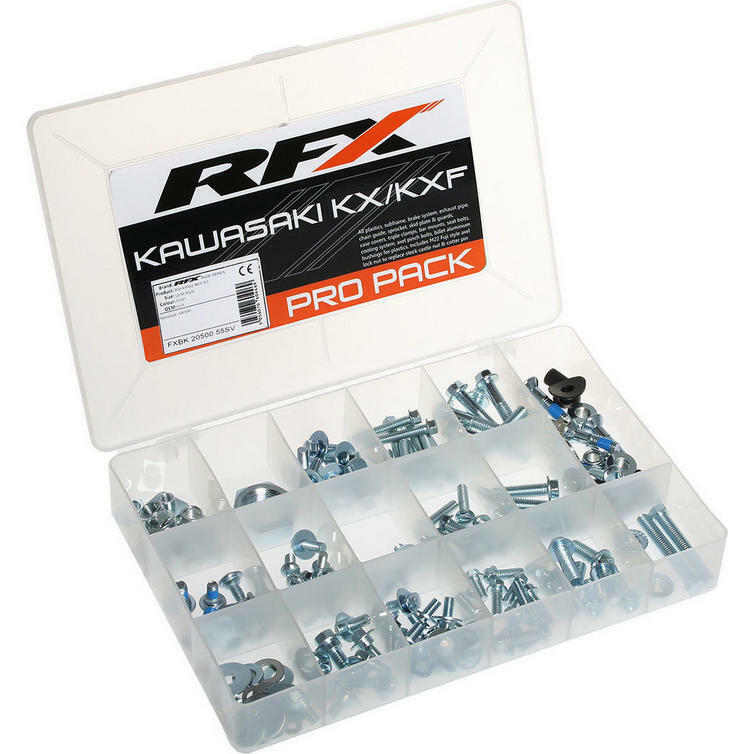 This kit includes parts for fastening all plastics, subframe, brake system, exhaust pipe, chain guide, skid plate and guards, case covers, triple clamps, bar mounts, sprocket bolts, seat bolts, cooling system, axle pinch bolts. Also includes billet aluminium bushings. 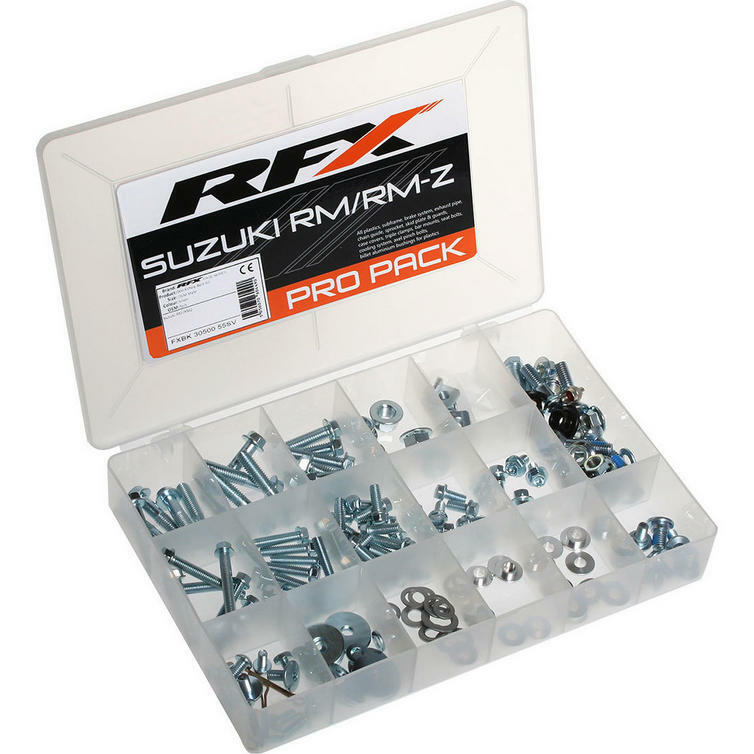 View all RFX Bolt Packs. View all Bolt Packs.